If you are like me, then you understand that the concept of toys is not something that was dismissed when our birthday candles started hitting double digits. Toys help us learn and grow as children, introduce us to sharing, and the understanding of ownership and value. Some people decide to put their toys away at a certain age, while others embrace them all their lives. I am one of the lucky, even spoiled, few who get to have toys be part of their everyday job. In addition to the film work I do, I often have a side project that involves the designing and manufacturing of toys and collectibles. 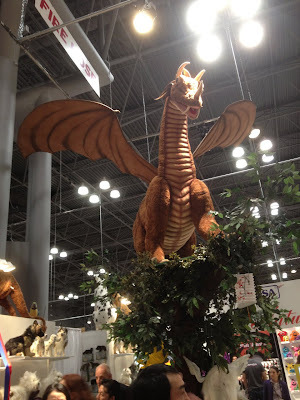 It is these projects that bring me to the New York Toy Fair each year. The annual convention is trade show for manufactures, developers, buyers, and press to meet and exhibit their wares. It is the largest toy industry trade show in the world, lasting for 5 days during the second week of February. Photo 1: I am originally from New Jersey. I grew up on the opposite side of the Hudson River from New York, so close I could see the Statue of Liberty every day. But I left for California to pursue my dreams, and now I've lived in LA for majority of my life. 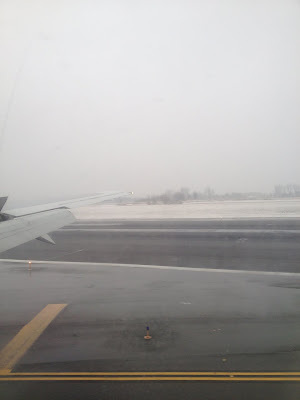 There are many differences between the East and West coasts, but as I landed in JFK, I was suddenly reminded of the most obvious: weather! It had been a long time since I'd seen snow, and worse, since I had to wander around in temperatures lower than 56 degrees! It was 24 and snowing when I got in, and of course, you can't forget that wind chill factor. Damn you, Hudson Hawk! This is how my East coast trips go: land. 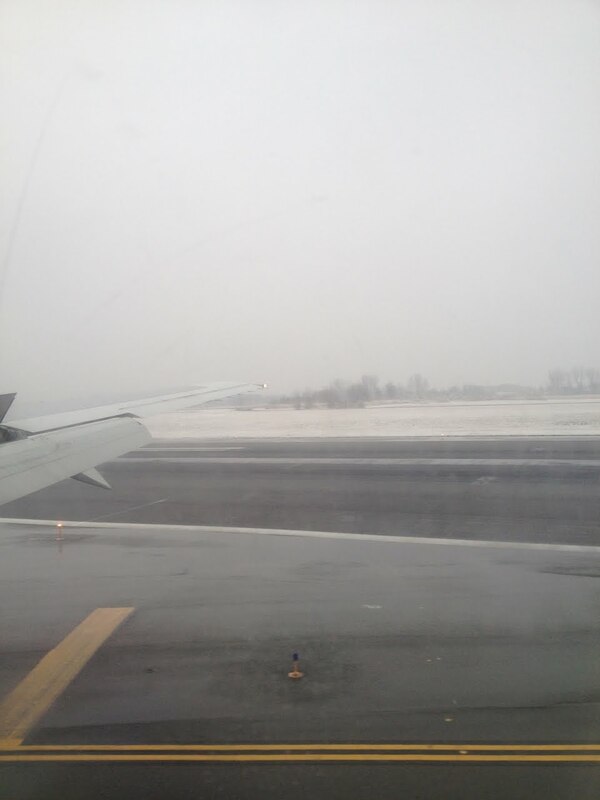 Hey, it's New York!... What time's the flight back to LA? 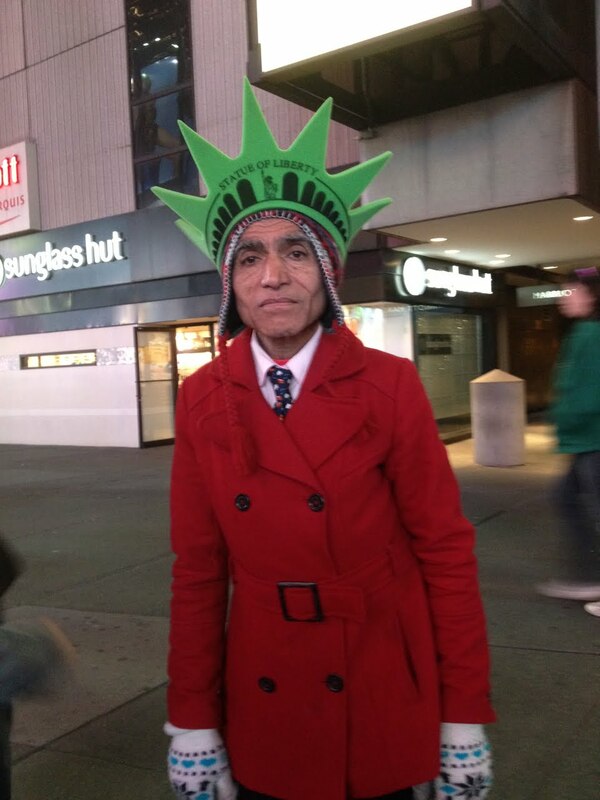 Photo 2: I don't hate New York, I just don't belong there. I think cities are like flavors or music or anything else. Some people love chocolate, some people swear by vanilla. There is no reason why, or maybe there IS a reason that is so scientific that I would never be explaining it in my art blog, but everyone has a yes/no checklist, and cities are on it! I grew up in the Tri-State Area always feeling like an outsider, and it wasn't until I got to LA that I really felt like I belonged. I always hear people saying they were born in the wrong time period. I believe I was born on the wrong coast! 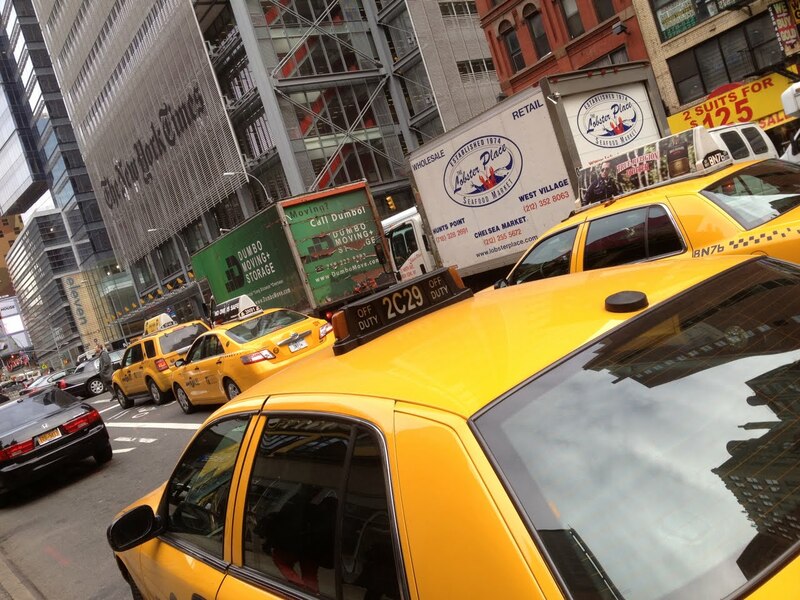 NYC is fun to visit, though. Where else in the world can you see Disney films and 80's classics reinvented as live theater!?! 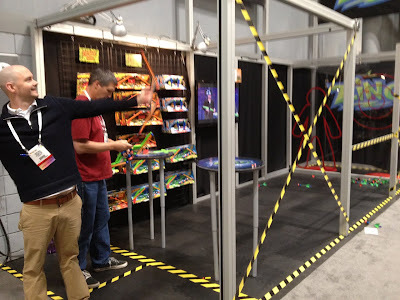 Photo 3: It was finally time to go to Toy Fair to set up. In past years, the different companies I attended with introduced their products in different ways. My sculpture house, Legends in 3 Dimensions, used to have a private suite at a fancy hotel where I would set up a gallery, and offer wine and cheese to potential buyers. The economy was better back then! Art Asylum had a showroom in the Toy Building on 5th Ave, a skyscraper actually dedicated to toy manufacturer showrooms year round. One year I converted the space into the deck of the Enterprise to display the new line of Star Trek figures Digger created, and another year I made it into the Bat Cave. Need I say why? This year marks the first time I officially set up camp on the floor at the Javits Center. 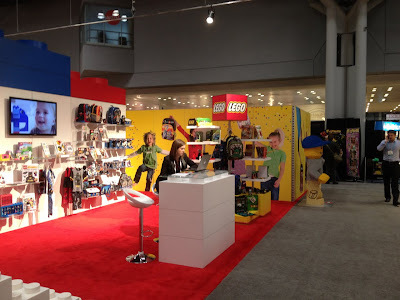 Imagine San Diego Comic Con where every booth was represented by someone's favorite toy store in the world! As far as the eye can see, if there is a toy that will be available next Christmas, orders were being taken for it at Toy Fair! Photo 4: Of course, I snuck away from the booth a few times to see as much as I could. There was no way you could see EVERYTHING unless you were a buyer or press, and even then, people were telling me they had to plan an exact route or they would miss whole sections in the time they were allotted. It was like a city of toys. Even the space above our heads was filled with spectacle, like this fifteen foot plush dragon! 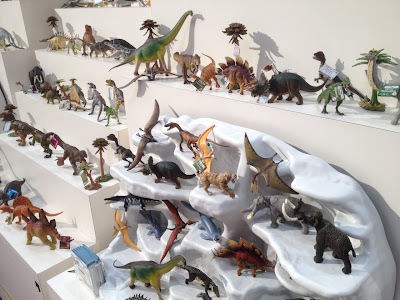 Photo 5: Dinosaurs may not have ruled the Earth since million of years ago, but they sure ruled Toy Fair! 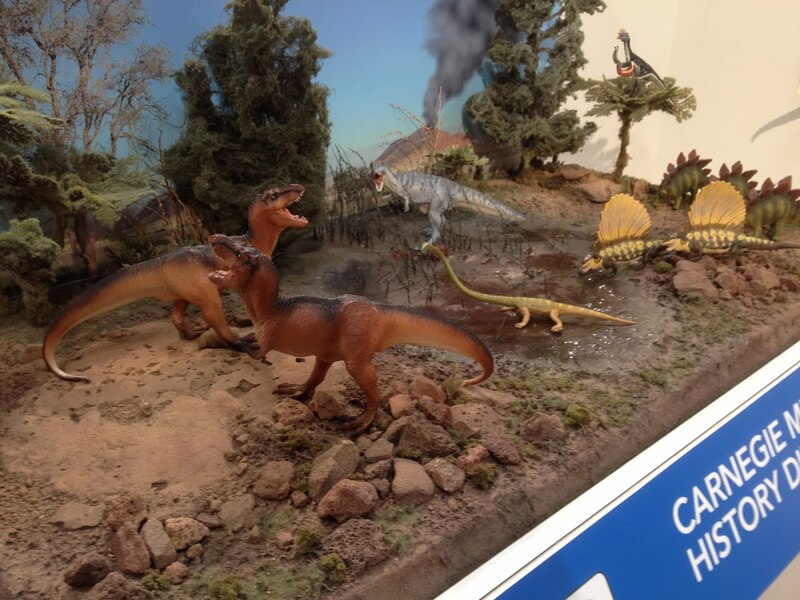 There were dinosaur toys on display everywhere. Photo 6: No, really, everywhere! I think as a kid I had the basic t-rex, stego, bronto, pterodactyl combo available. Now there are insanely accurate representations of every species know to have existed! Tiny die cast versions, giant PVC versions, plush, kits, full size wooden skeletons, animatronic versions, dig site recreations, even the newest Sea-Monkey craze that lets you hatch your own Trilobite, so you can have a real prehistoric creature as a pet! Photo 7: Not all the giant lizard toys were based on science fact. The King of Science Fiction himself was well represented! 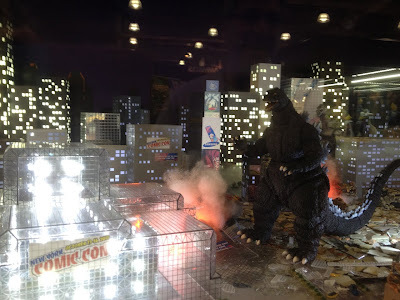 As always, I took a fair share of pix to show my producing partner Sheri Bryant all of the new Godzilla stuff she will HAVE to have in the upcoming year! Photo 8: The range of toys is fascinating, especially when you see everything in one space. There are toys for everyone, and then there is the competition between designers to capture the boys and girls markets. Some manufactures that tend to skew towards one group have branched out to appeal to the other. I believe Lego may have captured the Felicia Day demographic with this "bake set". 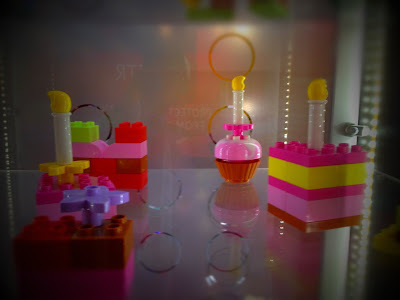 Photo 9: If you have no interest in building cup cakes that you can't eat, there is always things that shoot things! These bow and arrow sets by ZING! are super safe and super fun. Many of the manufacturers had working demos that buyers and press could play to get a feel for the toy. Getting people to try it isn't a problem. But when a toy is this cool, getting them to stop is! Photo 10: Some designers decided to try and split the difference, putting things girls love into categories usually reserved for boys. 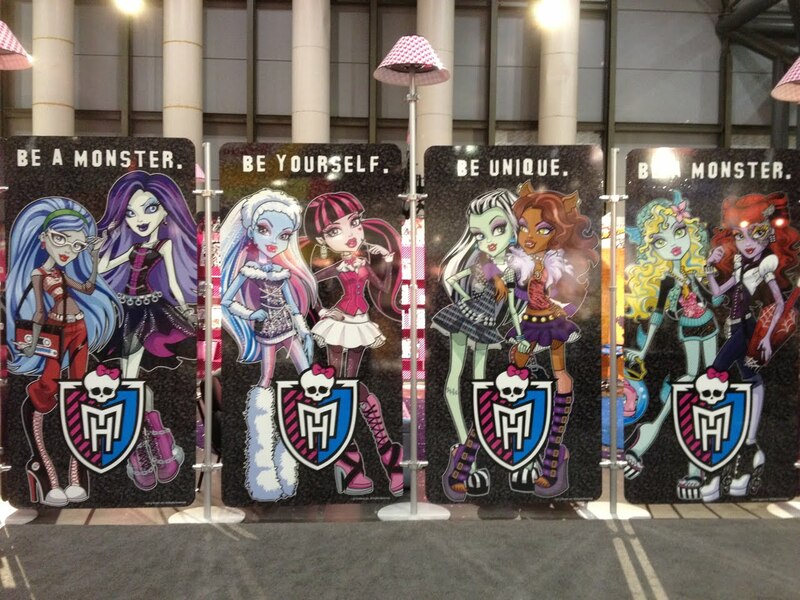 By introducing us to the DAUGHTERS of the classic movie monsters, Mattel hit a home run with Monster High . I was particularly thrilled to see this modern "Groovey Ghoulies" type twist have such a presence at Toy Fair, because my good friend America Young does many of the voices on the show the dolls are based on. I was there the day she did her voice over audition recording for what she thought was "a little internet cartoon". It might have been at the time, but now the girls from Monster High have Barbie scared to death that she may no longer be the toy Queen! 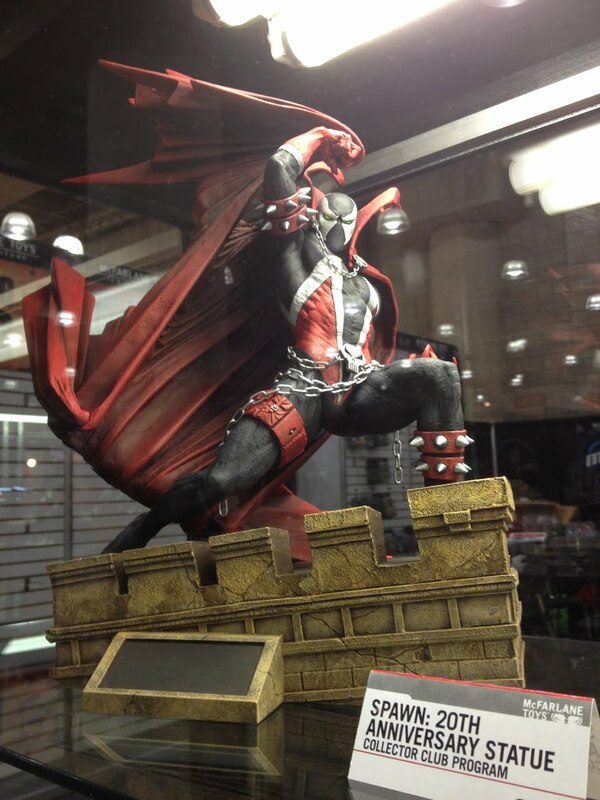 Photo 11: Really, Spawn!?! 20 YEARS!?!?! That brings back memories. The very first Toy Fair I attended was with McFarlane Toys. I worked on the YoungBlood line, and Todd brought Rob Liefeld and I out to do press stuff for the launch. I made the giant BadRock walk-around suit and painted up an actor to look like Chapel. 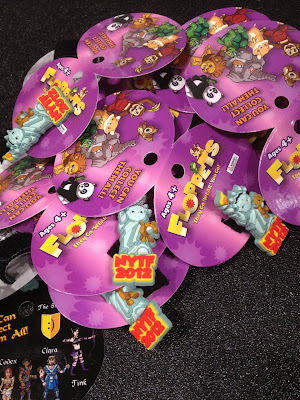 We walked the streets of NY and handed out McFarlane Toys promos, because nobody knew anything about it! Man, have times changed! 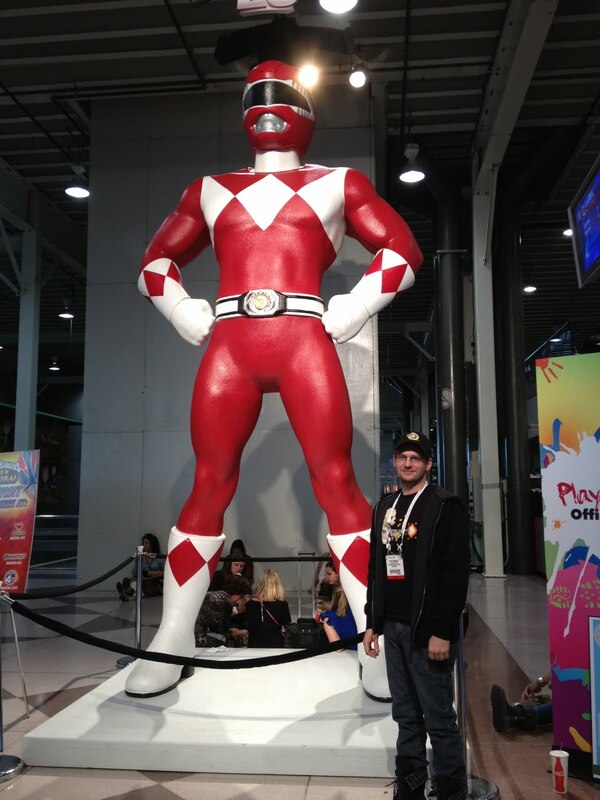 The big question is, and Rob, this ones for you, when are we doing the YoungBlood anniversary statue!?!? Those characters have always been favorites of mine. The designs were cool, the story was groundbreaking, and it will always have a nostalgic feeling for me since Extreme Studios was my first major parlay into comics. When I decided to start Legends in 3 Dimensions, Rob was also kind enough to give me YoungBlood as my first official license. That BadRock statue is still a favorite. Which begs the question again...Anniversary statue, anyone? Comment below if you think its a good idea! 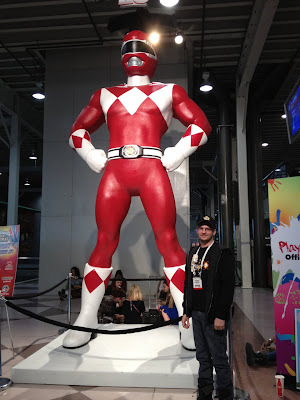 Photo 12: Another big stir at this year's Toy Fair was the 20th anniversary of Power Rangers. Now that Saban has the franchise back, it's bigger and better than ever. (Although we all know it will never be BIGGER or BETTER than Power Rangers SPD !!!) Seriously. 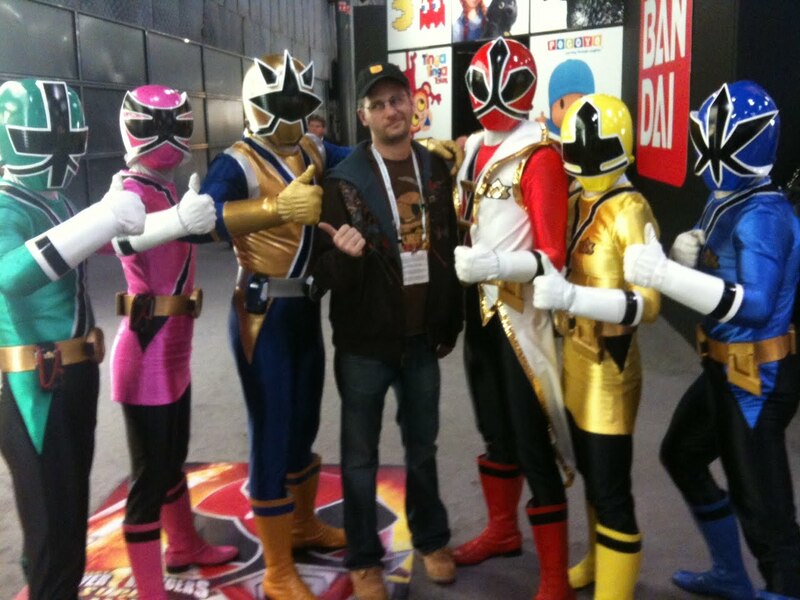 Saban made a huge announcement about the future of the Power Rangers that week. My twitter feed was abuzz with rumors that I was at Toy Fair to be part of that announcement, but alas, it was not true. Photo 13: I don't even know who these guys are! No, this year, I was at Toy Fair to introduce the new collectible company I started with my partners in Chicago. Photo 14: And here it is! No, not Lego. In the back. to the right. Yeah, that's us! FLOPPETS! Photo 15: I joke, but our little back aisle space actually worked out really well. We were at a major cross roads, so if you were cruising the floor from any direction, you HAD to pass us. Photo 16: The trick was how to get people to stop as they passed by! Our method was simple: SWAG! I designed this commemorative 2012 Toy Fair Floppet specifically to give away at the show. We did a one time run of 1,500, and with the exception of the handful I had in my pocket when I got back to LA, we gave them all away! The reaction was great, although it was not uncommon for people to reject the offer for a Toy Fair Floppet. Much to our joy, 9 out of 10 people turned back around and decided they wanted it. After hearing our pitch, many of those same buyers became our biggest customers! We were just a small start up company buried in the midst of huge industry icons, but a lot of love and care went into our product, and our efforts were not overlooked. Even as a designer of Floppets, I couldn't tell you why people are so attracted to them, adults and kids alike, but people love them! We were chosen as one of the Top Ten Hottest New Toys at Toy Fair, and we were called the next craze in kid's toys on the national news! Photo 17: The show days were long, and Team Floppets talk to hundreds of people per day, so when the floor closed, we were all anxious to explore the city and excitedly discuss all of the amazingly positive feedback we were getting for our product. 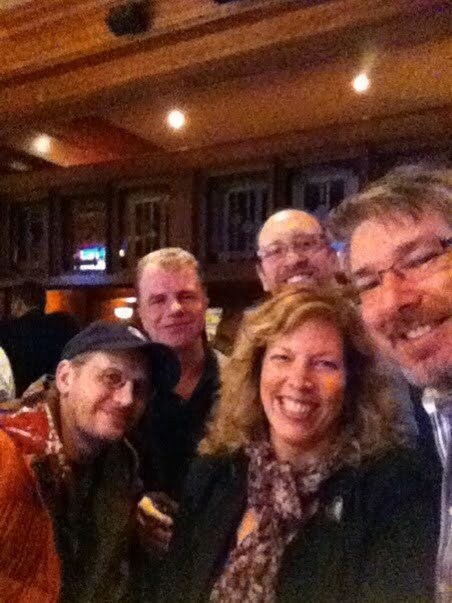 Above, me, Gilly, Ron, Ilyse, and Rich warm up and get ready to eat non-convention center food! Photo 18: If you know me well, you are aware that I am NOT a foodie. I dream of the day when meals will come in pill form so I can down them with a Pepsi and keep on working. But, despite the fact that I'm a California lifer, there are certain East coast foods that I miss on a daily basis. The first is probably the most cliche, but believe me, it's the truth! 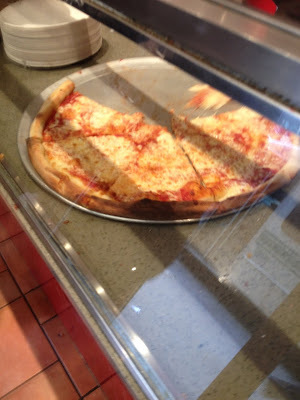 There is no better pizza than in New York. Granted, there are a few killer places in Jersey, and the best I've had in years is specifically in Brooklyn, but stray too far down the turnpike and it's all downhill from there. I saw a line of people outside this pizza parlor on 47th street, so I figured it was worth a try as I made a supply run on my lunch break. I was shocked to find that they were only charging a dollar a slice! It also made me smile to see that the counter was lined with only cheese pizzas, and toppings needed to be requested. Anything other than pepperoni or mushroom would get you a weird look, too. As it should be! Photo 19: Another favorite is Carvel Ice Cream. It's just one of those chains that, despite it's popularity, just never made it all the way across the country. Growing up, a birthday didn't count if you didn't get a Carvel ice cream cake. Luckily, a few stores actually carry Carvel cakes here in LA now, so that's one less thing to cringe about when my birthday rolls around. 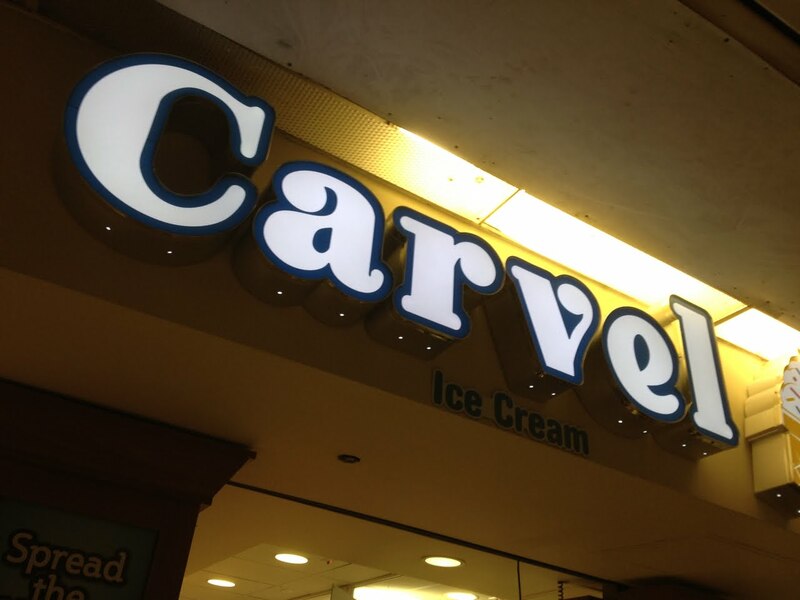 It still gave me a warm and fuzzy feeling to see actual Carvel shops, though. 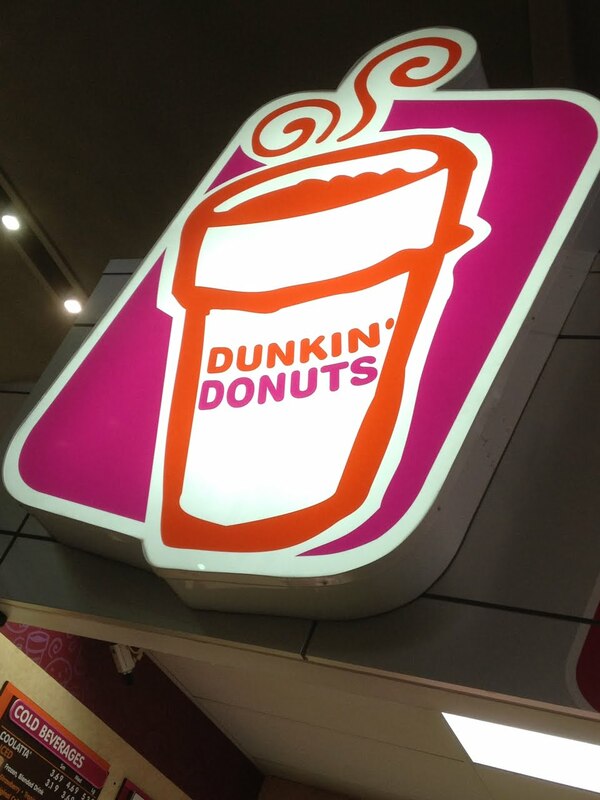 Photo 20: I'm certain this is listed amongst the greatest mystery of the modern world, but why Dunkin' Donuts isn't on the West coast confounds me. I would not have survived my high school years with them. If anyone could get the corporate offices to open a few shops in LA, I would be eternally grateful! 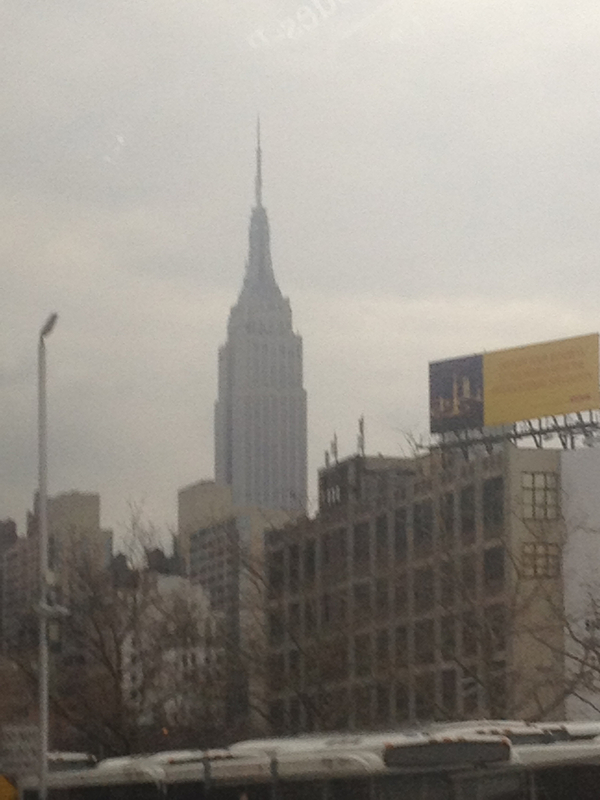 Photo 21: New Yorkers may take this for granted, but being in LA for so long, I forget how tall everything is in Manhattan! 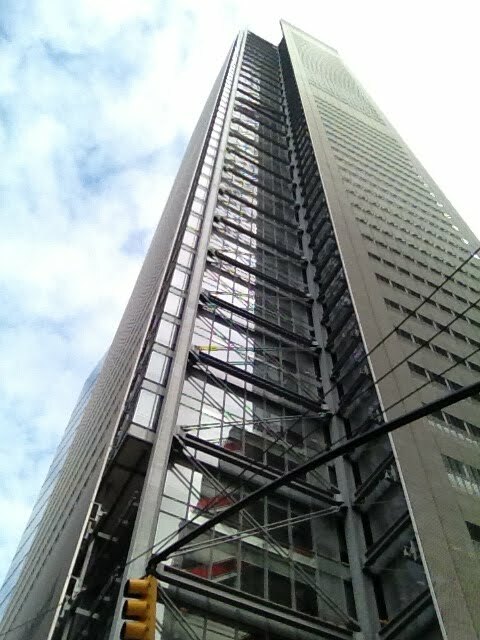 I mean, like fall over backwards trying to see the top of the building tall. It really is spectacular. Photo 22: On the complete opposite side of the spectrum, with all the looking up I did, I forgot about one of my childhood paranoia. 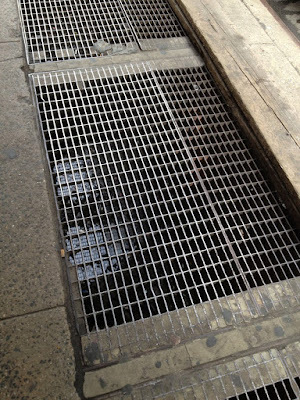 The streets of New York are lined with grates, vents, subway entrances, and trap doors that lead to basements below the stores that are always left wide open for deliveries. I get knots in my stomach when I walk on them. I've never actually seen anyone fall down one of these, but I certainly don't want to be the first to do it! I'll just walk around that hundred year old rusty grating suspended twenty feet above an active subway track, thank you. 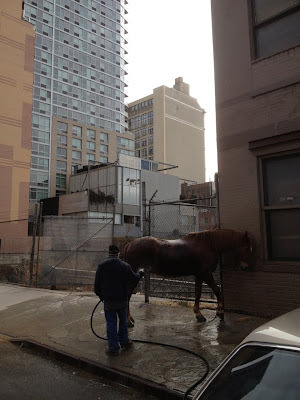 Photo 23: The beauty of New York is that everywhere you look, there is something to see. If you look around enough, you are guaranteed to see something weird. I've been a city boy all my life, so while a man washing his horse may not be unusual to most, it was totally bizarre to me. Especially on the west side! 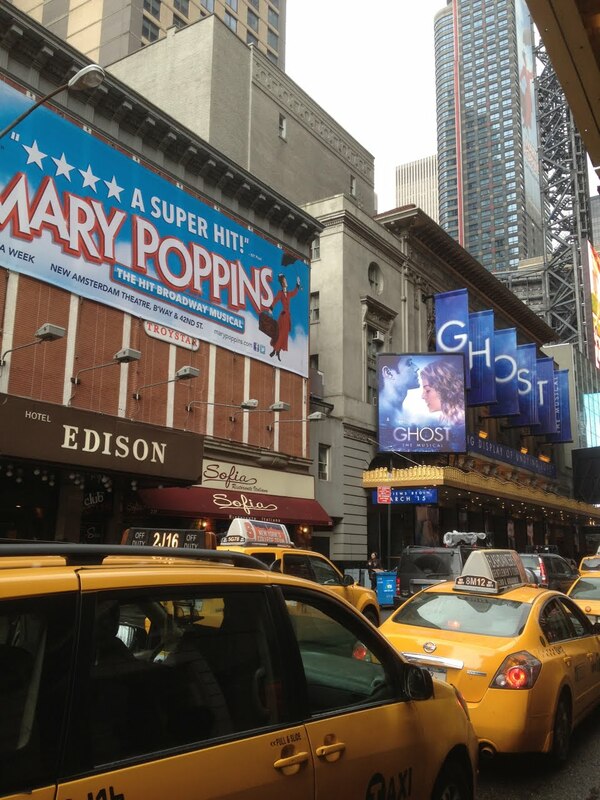 Photo 24: Speaking of West Side, Manhattan is famous for that story along with countless other phenomenal musicals. It is an absolute must to take in a show while visiting the city. 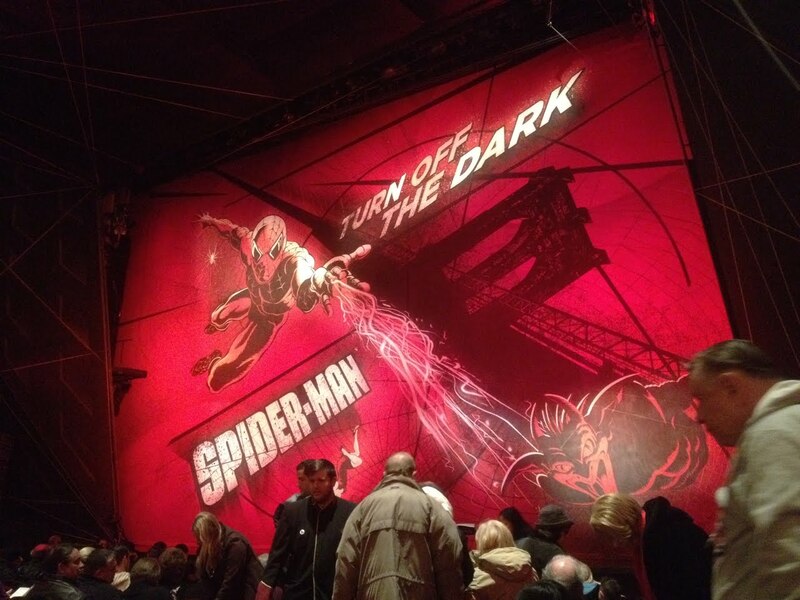 And what better hit for a group of geeks to see than Spiderman: Turn Off the Dark. This blog is my forum for showing art techniques and sharing my adventures, and I tend to avoid any criticisms or opinions that may alienate my readers, because everyone has the right to an opinion, but you don't necessarily need to be subjugated to mine. I'll make an exception this time, because I just can't not warn everyone. No doubt you are also a Spiderman fan, and it would just be impossible to not go see this for yourself. But if you are expecting to be wowed by Broadway's finest musical theater, or can't wait to have Bono and the Edge's catchy songs hooked in your brain, well, honestly...you won't. Having done all kinds of film work involving stunts, I have to give props for the utterly jaw dropping aerial work that takes place right above (and actually IN) the audience during the last 30 minutes of the play, but I'd be lying if I said that getting there was an enjoyable ride. There is no shame in a true comic book fan having this show on their bucket list, but I must implore you to reserve a second night out on Broadway to experience actual theater. West Side Story has to be on stage somewhere! Photo 25: My partners and I were only in New York for 5 days, so there really was only so much ground we could cover. For selfish reasons, I dragged everyone out to what locals would consider "a tourist trap". But, it's a tourist trap I helped deign, so I wanted to see how the place was holding up! Jekyll & Hyde's, right across from Central Park, is a haunted theme restaurant where the dusty antiques come to life and talk to the patrons. There are live shows that happen every half hour, and the maze like venue has interesting artifacts to discover at every turn. 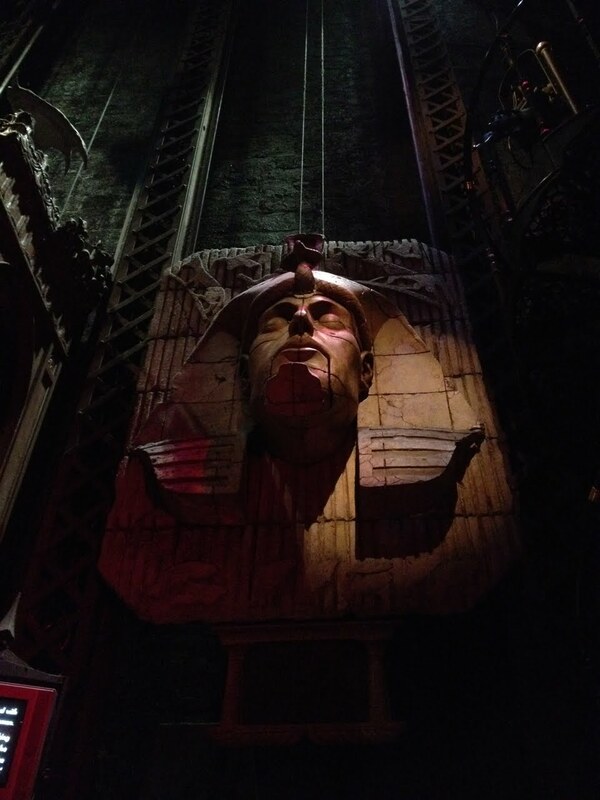 I made a bunch of them, including sculpting parts of this giant Egyptian head that hangs in the main parlor. 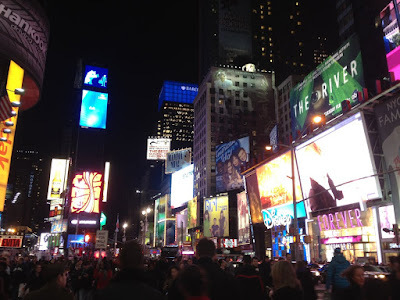 Photo 26: After dinner, we cruised through Times Square. It's just like in the movies. It really is like no place else. You see things here you would never see in any other part of the world. Photo 27: Like this guy. And they say LA is weird! 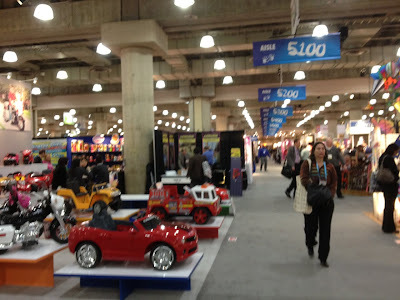 Photo 28: Toy Fair ended, and I was off to Newark to catch a plane home. 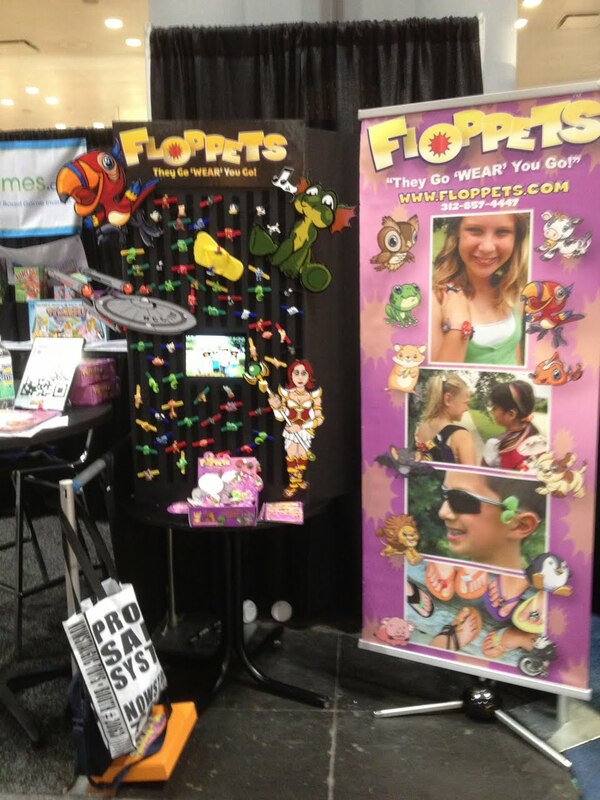 The show was a huge success for us, and I am so excited about how much Floppets will grow in the next year. I'll keep you up to date as to where you can find them, and what new designs and licenses we will be shipping out. But do me a favor if you can: if your local stores aren't carrying them, ask if they could! Most retailers that don't have them just don't know about them, or aren't sure if anyone would be interested. Your interest could make the difference, and having product in those store will help us grow. The more we grow, the cooler the products we will be able to make. It will be worth it, I promise! There used to be a few Dunkin' Donuts up here in Oregon, but the last one in the state went out of business (or was bought out) just a few years ago. It is still a donut shop now, but with a different name.